This Sunday we are having Mother’s Day and Miriam’s birthday brunch. Mimosa is an obvious choice, but how to make it as special as my women? This is what I came up with. I am making Cuban Picadillo for dinner on Sunday, but I had difficulty finding any Cuban green vegetable side dishes. I needed to make more of my orange sugar, which always leaves me with two or three navel oranges to use up after I have removed all of the zest. 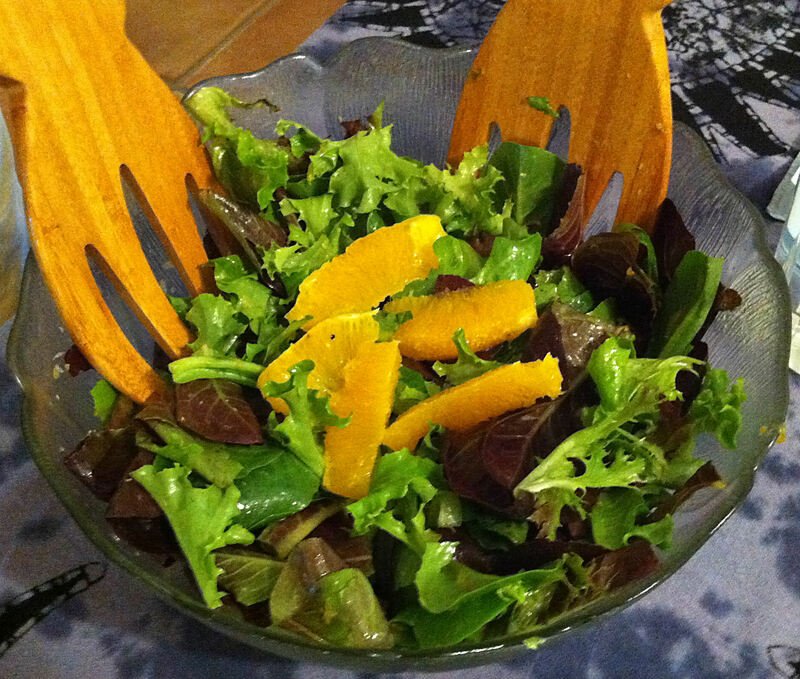 I decided that an orange wedge and baby lettuce salad would do the trick. To make the vinaigrette “Cuban” I used lime juice and a bit of culantro Recaíto sauce. 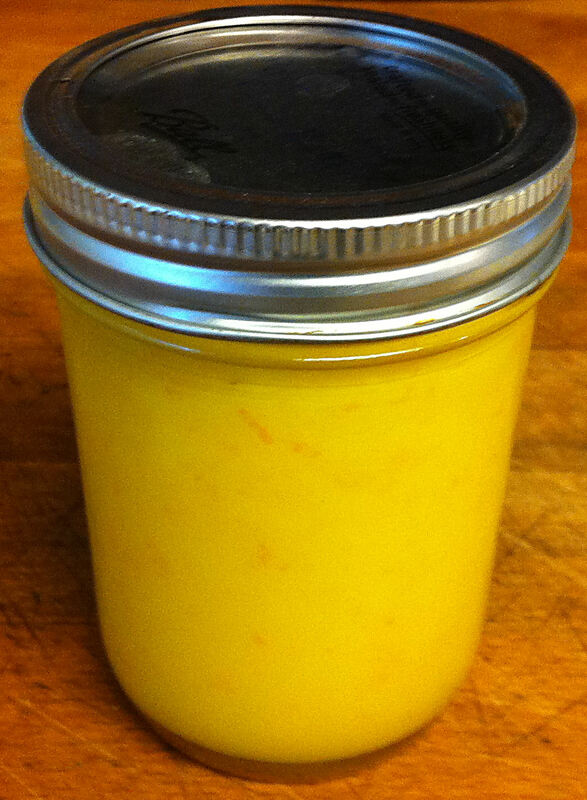 Jan loves lemon curd, so a while ago I made some with Meyer lemons. It worked out so well that I have made it a couple of times. It is really tasty, but it does not last or keep long. 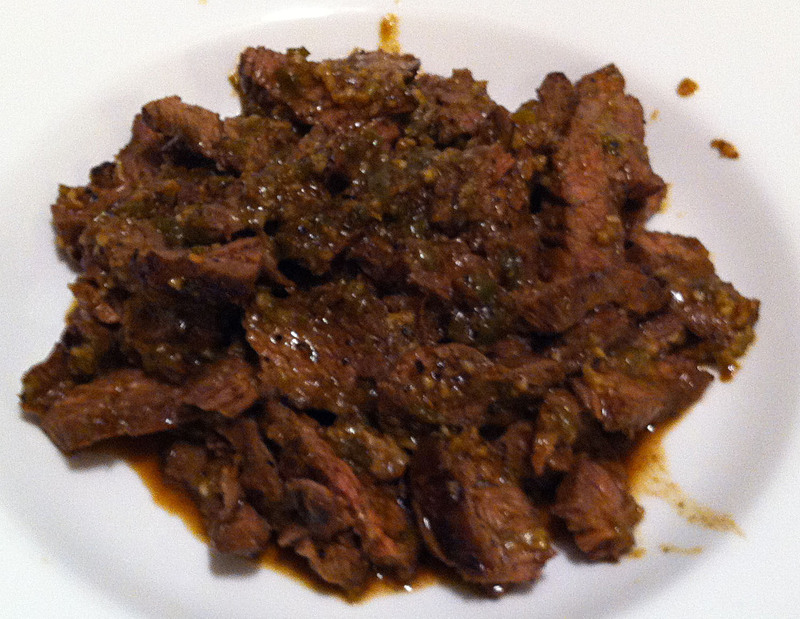 I found Seville sour oranges and Cuban mojo sauce sounded like a good thing to mix with beef for a savory taco. While I am making this sauce for carne asada tacos, it could also be used on chicken, fish or pork. For vegetarians, it could even be use as a sauce for rice or vegetables . The Seville sour orange juice gives this sauce a unique and distinctive flavor.